Extraordinary locations captured on film are available for you to see, any time of year. Who knows – your adventure could be the setting of the next big award winner. When Cheryl Strayed was just 26, she took on the Pacific Crest Trail (PCT) by herself. This over 4000km trail leads through three American states and one Canadian province. A trail of immense variety, the PCT dates back to 1930 when teams of hikers from the YMCA worked on connecting existing trails through the mountains of California, Oregon, and Washington. By 1968, with the passage of the National Trails System Act, the PCT along with the Appalachian Trail were the first two routes to be designated as national scenic trails. The PCT is a true wilderness journey; hikers camp alone most nights, travel distances up to 200 miles between road crossings, and deal with the fact that the number of hot showers along the trail can be counted on one hand. Iceland is a place where nature reigns supreme, as Ben Stiller’s character discovers in this film. Aside from the modern and cosmopolitan capital, Reykjavík, population centres are small, with diminutive towns, fishing villages, farms and minute hamlets clustered along the coastal fringes. The Interior, meanwhile, remains totally uninhabited and unmarked by humanity: a starkly beautiful wilderness of ice fields, windswept upland plateau, infertile lava and ash deserts and the frigid vastness of Vatnajökull, Europe’s largest glacier. Iceland’s location on the Mid-Atlantic ridge also gives it one of the most volcanically active landscapes on Earth. 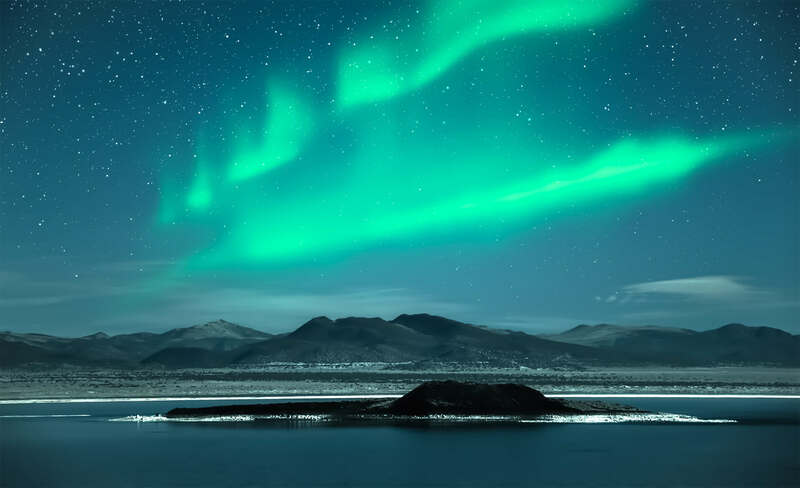 Peppered with everything from naturally occurring hot springs, scalding hot bubbling mud pools, and noisy steam vents to a string of unpredictably violent volcanoes, it’s something that Icelanders have learned to live with. In 2010, when Eyjafjallajökull erupted and caused havoc across Europe, people here just shrugged and smiled. Tokyo is something of a model metropolitan environment. Trains run on time (and to practically every corner of the city), crime is hardly worth worrying about, and shops and vending machines provide everything you could need (and many things you never thought you did). Obsessed with the latest trends and fashions, the world’s largest city – the heart of which is home to at least eight million people – is also fiercely proud of its heritage. Lively neighbourhood festivals are held virtually every day of the year, and people regularly visit their local shrine or temple and scrupulously observe the passing seasons in manicured gardens. There is so much going on, just walking the streets of this hyperactive city can be an adventure. The sheer size of Alaska is hard to grasp. Superimposed onto the Lower 48 states, it would stretch from the Atlantic to the Pacific, while its coastline is longer than that of the rest of the mainland US combined. All but three of the nation’s twenty highest peaks are found here and one glacier alone is twice the size of Wales. Wildlife is abundant, with bears standing 12ft tall, moose stopping traffic in downtown Anchorage, wolves prowling national parks, bald eagles circling over the trees and rivers solid with fifty-pound-plus salmon. Travelling here demands a spirit of adventure and to make the most of the state you need to enjoy striking out on your own and roughing it a bit. On top of that, there’s the climate – though Alaska is far from the giant icebox people imagine. Be sure to bring supplies and have wilderness training/experience, to have a safe journey! Montenegro is a land exploding with colour. Carpeted with flowers for much of the year, the country’s muscular peaks are dappled with the dark greens of pine, beech and birch from which turquoise streams rush down to a tantalizingly azure blue sea. Fringing it, the coastline is dotted from border to border with beaches of yellow and volcanic grey, and huddles of picturesque, orange-roofed houses – a postcard come to life. A beautiful location to begin a romance or rekindle an old flame! Content from: Rough Guides Publications.